Time is money, and a good cloud construction management software will save you both. While some firms still elect to stick with paper or on-site management systems, cloud construction management software has become more and more popular in recent years. The need for project management software may be more obvious for larger companies with far-flung offices and building sites, but even small firms can reap big benefits from moving their project management system to the cloud. We spoke with Procore’s Director of Marketing Daniel Cohen about the benefits of cloud construction management software to help give you some insight into why you should make the leap. It’s no surprise that construction firms often deal with the problems of having their team in multiple locations. In the office, on-site, or somewhere in-between, cloud-based software keeps you connected and up-to-date. Cloud-based software can update changes instantly to keep your entire team on the same page no matter where they are. Even firms working with relatively small teams and limited locations should consider moving their data to the cloud. Cohen points out that “even if a firm is running jobs in a localized area, it’s pretty common that their engineering firms and architects might not be local, but truly collaborative project management software is going to involve all of them.” The ability to communicate with clients is also enhanced by cloud-based software; status updates, blueprints, photos and legal documents can be easily accessed anytime, anywhere from the cloud. Additionally, mobile devices like smartphones and tablets are becoming increasingly important in the workplace, and traditional self-hosted systems can’t keep pace with cloud-based providers. Companies like Procore and BuilderTREND feature mobile-optimized interfaces that make mobile access quick and easy on any device. Whether you’re switching from paper or upgrading from an on-site system, cloud-based SaaS options provide the advantage of being lightweight and cost-effective without sacrificing functionality. An investment in hardware and subsequent updates for a traditional on-site system can be costly. But cloud-based management software cuts the fat by providing powerful software with none of the hassle of managing a server, eliminating hardware and IT management costs. Pricing for SaaS solutions is often more flexible overall; Procore lets you pay for the amount of data you need, with no restrictions on how many users you have. Other software systems like Maxwell ProcontractorMX let you pick and choose which features you need and which you don’t, letting you have the functionality you want without a bloated price or bloated system. Implementing a management software can also help you manage your assets more efficiently; facilities managers already use maintenance and facility management software (CMMS) to manage their assets and keep costs down, and construction-specific asset management tools such as ToolWatch can do the same thing for construction management. Security is another major issue for many companies, but modern cloud-based service providers can protect your data much more effectively than you can with an on-site solution. “Quite a lot of top service providers are using many layers of security and redundancy,” says Cohen, “ Whenever new virus are out there they’re implementing patches right away. With on-premise solutions, maybe the last time they ran an update on their security software was six months ago – and a lot can change in six months.” By letting providers handle data security, you won’t have to worry about data loss and rest assured that your information is safe no matter what happens. Moving your construction management system to the cloud is a great way to ensure that your data is accurate, accessible, and protected no matter what the future holds for your firm. Cloud-based systems are not only well suited to the particular challenges of the construction industry, but they also provide a flexible, scalable framework for your business that can easily grow and address your business needs. Whether you plan to grow or simply maintain your firm, a cloud solution can keep you on the cutting edge of project management technology for years to come. 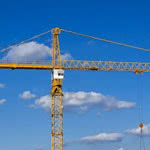 Ready to shop for a cloud construction management solution for your company? Browse industry-leading solutions in our downloadable Top 10 Construction Software report, which you can use to compare key features, pricing and deployment options side by side.